BIGHORN PKG. 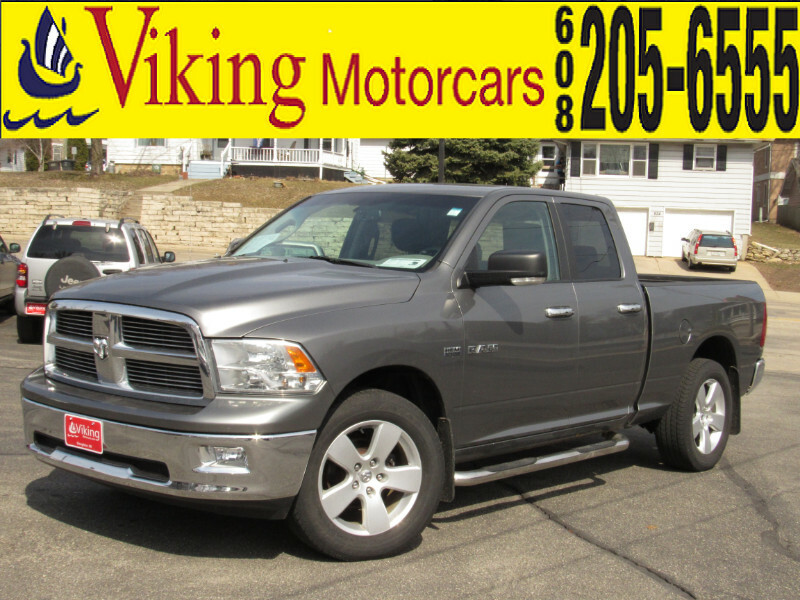 *HEMI 5.7L V-8 TOW PKG* 87K LOW MILES* QUAD CAB* 4WD* for EXCEPTIONAL traction power AND economy, and TOO MUCH MORE TO LIST are waiting for you in this 2010 Dodge Ram 1500 QUAD CAB SLT 4WD.. This FRESH NEW ARRIVAL has been thoroughly inspected and reconditioned so you can buy AND drive with TOTAL CONFIDENCE! All Viking Motorcars come with 3 months 3,000 mile limited powertrain warranty and FREE CARFAX REPORT! Our local credit union financing starts at 2.99% APR and you can apply online on our secure web site. We invite you to shop at Viking Motorcars, your hometown dealer with smalltown prices where WE ALWAYS TREAT YOU RIGHT! Located at the corner of highway 51 and 138 in HISTORIC downtown Stoughton.